If you have been thinking about orthodontic treatment to straighten teeth or correct jaw alignment, your first step is a visit to our office for a complimentary orthodontic consultation. During the initial free consultation we will address your questions, concerns, and talk about a treatment plan that would best suit your situation. Because we want you to feel prepared and in charge of your orthodontic treatment decisions, consider the following questions when you visit us for your initial consultation. What kind of preparation is needed to get braces? How many visits will it take? • How many visits will the treatment plan take? What are the factors that determine how long I have to wear braces? How will braces affect my lifestyle? Foods I can eat? Activities I can participate in? How much will my orthodontic work cost? What type of payment options are available? Your initial orthodontic consultation may just be the first step in relieving concerns about the appearance of your smile, or discomfort you are experiencing. 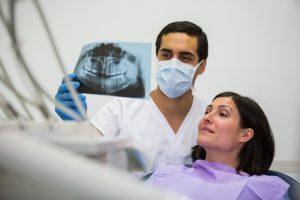 Going in with the right questions will help you to understand the entire process, the state of the art treatment options available to you, and prepare you to do your part for your own dental health. Ultimately leaving you with a great smile!